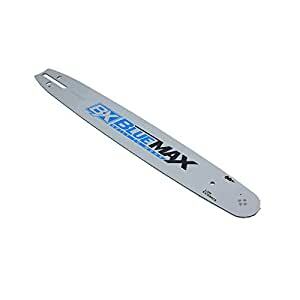 Blue Max 8361 20" chain saw replacement bar for most 20-inch chainsaws. Easy to use and replace and clean. but I do know the difference between an egg and an Omelet. This replace bar comes from northern tool that's what's stamped on it. The package has been opened and taped up so it should be considered used not new. I think I need to do more store shopping and less on line shopping that way I now what I'm really going to get. Good bar. but to short for the saw i bought it for. I brought it thinking it might fit the Ry obi chainsaw. Nope to Short. Bought the chains and bar together to ensure fit is not bluemax but cuts great about a cord and a half in.